Sometimes you simply wish for a little more freedom. No matter if you’re using clippers at home or bustling about in your barber shop, cords can limit your flexibility. Not to mention corded models can be quite heavy. Cordless clippers and trimmers, though…They’re lighter, do the job more than fine, and most importantly, give you the convenience you desire. If you have more time, we invite you to go through all best cordless hair clippers we present here. We will also guide you through the 3 best cordless trimmers. For example, at home, I use this HC4250, mainly for buzzcuts. But it’s far from a truly versatile, professional machine like the Magic Clip. Remington probably puts out the most innovative hair clippers out there and HC4250 is their finest. This hair clipper is the most compact choice in terms of dimensions. You won’t find a more flexible and simple to use model. However, this is only the beginning of its benefits. First of all, the HC4250 is one of the rare cordless waterproof hair clippers. You can rinse it after use and cut on the usually daunting task of cleaning your hair cutting machine. It being so compact makes this job an even easier one. Quicker haircuts and quicker aftercare – what’s not to like? Second, it has a one of a kind, extra-wide curved blade, which is why it made it to our list of the best cordless hair clippers. The curves follow your head’s contours and allow for wider, quicker and overall more convenient hair cutting action. Their secret lies in covering more area with one single go – something many other cordless clippers lack. A perfect setup for people who are new to this cutting your hair by yourself business. You will be surprised to find out that such a small electric clipper features a pretty strong battery. The Remington HC4250 clipper’s Lithium-ion battery is rechargeable and will last you for close to 40 minutes of cordless runtime. Charging doesn’t take much time either – 4 hours for a full charge. With this Remington cordless hair clipper, you’ll receive 9 length combs (from 1/16″ to 5/8″), a cleaning brush, a travel pouch and hair clipper oil. You also get the charging adapter. No doubt: this is one of the best cordless hair clippers for men who like comfort in their at home haircuts. Wahl’s 5 star series is reserved for the most premium of the brand’s hair cutters. The Magic Clip professional cordless hair clipper is undoubtedly the finest representative of Wahl cordless hair clippers. Its most remarkable feature is that despite it being a very powerful cordless cutter, it’s incredibly simple to use and a perfect barber grade clipper pick for beginners. 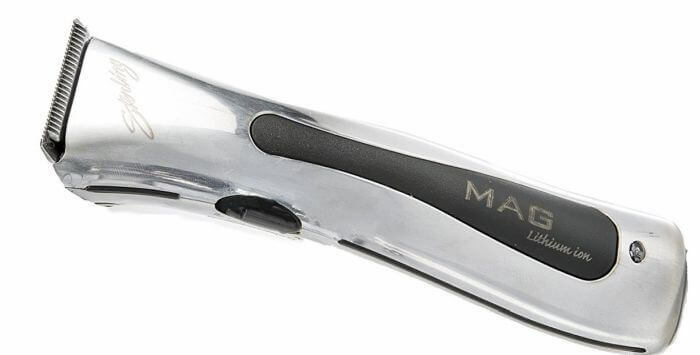 The Wahl 5 star Magic Clip is a rotary motor clipper. As rotary motors are quite powerful, this cordless fellow’s performance outshines most of its competitors. With rotary motors, the clipper’s blades also move only back and forth. You won’t need to concern yourself with blade misalignments that will require you fixing stuff. On the topic of blades, the Magic clip features a stagger-tooth crunch blade. It’s not only stunningly sharp, but also makes the model a great hair clipper for fades. It can also be adjusted through a side lever on the side so you can perform more versatile haircuts at home. While not as compact as the Remington HC4250, the Magic Clip wireless hair clipper is surprisingly lightweight. Above all, though, it gives you an absolute record-breaking 90 minutes of Lithium-ion battery runtime. Full charges take a mere 3 to 4 hours! There is a reason why over 80% of Amazon buyers have rated this Wahl cordless hair clipper with 5 stars, for that reason, it makes it to our best cordless hair clippers list. We recommend them as the go-to professional choice for the best cordless clippers on the market. When it comes to the best cordless hair clippers for bald head, Norelco QC5580/40 has no match. However, this is only one of its stronger points. Even if you’re not looking for a balding clipper, you’ll be delighted by this electric clipper’s self-sharpening blades. Made of high quality stainless steel, they require no maintenance whatsoever. If you’re not keen on using clipper oil and other hassles, you’ll love the Norelco QC5580/40 cordless clipper. It allows for a very hands-off approach. Similar to the Remington HC4250 clipper, this Philips model also features washable parts. You can take it apart and skip on wasting precious time in cleaning it. Speaking of parts, this is the only cordless hair clipper with rotating head. Using it like a dial, you can easily pick one from the 14 different lengths this balding clipper features. Their range is spectacular too – you can set the rotating head from 0″ (Philips balder mode) to 5/8″. Adhering to the industry’s best practices, these cordless balding head clippers run for close to 60 minutes. Their Lithium-ion battery once again allows for relatively quick recharge time so you can start your next haircut at home. As a finishing touch, you get a convenient storage pouch, some hair combs, a cleaning brush and the power cord, of course. Hands down the best cordless hair clippers for bald heads. Get a 7 Andis attachment combs, a battery pack, the BGRc charging unit and a small tube of 4 oz. clipper oil. Without a doubt, Andis BGRc cordless ceramic clipper is one the premium best cordless hair clippers in this list. 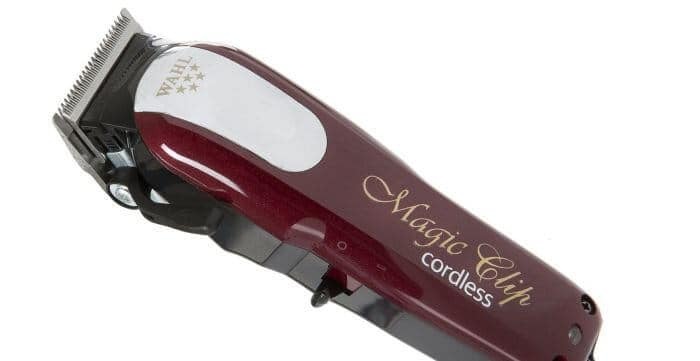 Similar to the Wahl 5 star Magic Clip, this Andis hair cutter features the ultra powerful rotary motor. However, BGRc is even quieter and ever so surprisingly lightweight. What makes a huge difference here are the model’s Andis ceramic blades. Ceramic blades stay sharp 5 times longer than standard stainless steel ones and their cuts are way more precise. They also remain up to 70% cooler which is a huge benefit if you’re doing lengthier haircuts at home. Cordless ceramic hair clippers are very rare to come by and are considered an exquisite take on cutting your hair with professional tools. Andis BGRc clipper scores extremely high on our ergonomics criteria. 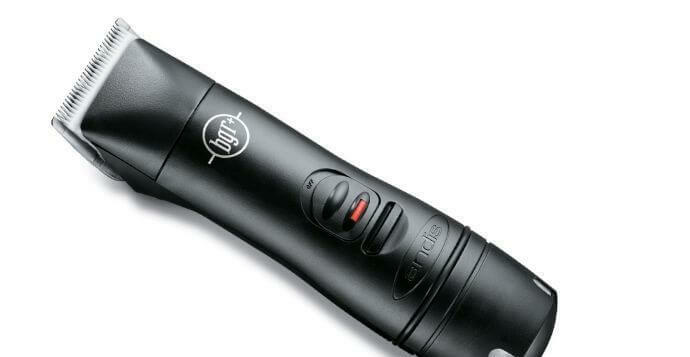 This just might be the cordless clipper for men featuring the best grip out there. It’s a pleasure to touch, especially when you know how precise it will cut your hair afterwards. Extremely lightweight too, your hands will never feel tired even when you perform lengthier haircuts. As far as the battery goes, this cordless ceramic clipper will run for close to 60 minutes. Here’s the magic part: it will be fully recharged in only one hour! Yes, you read that correctly: the recharge and use time are exactly the same. No other cordless hair clipper for men can boast with such battery convenience, it is indeed the best cordless hair clippers. In the package you’ll receive 7 Andis attachment combs, a battery pack, the BGRc charging unit and a small tube of 4 oz. clipper oil. Truly the best for people who value high-end cutters. Though Remington is not known for their high quality clippers, in recent years they have made some real progress in overcoming their reputation as just a drug store hair trimmer. In fact, they make some of the best vacuum clippers out there right now. One of their top sellers is this HKVAC2000. What makes it so popular? Well, it’s no secret that Remington clippers are some of the least expensive clippers out there. But, again, don’t expect them to be flimsy because of the low price. These are well made, sturdy, reliable and perform really well. As far as vacuuming ability, they top the list as far as how much hair actually makes it into the chamber. Some vacuum clippers will still have you cleaning up your sink or bathroom after clipping. Though, I would say that its cousin, the HKVAC6550 does a better job at collecting the hairs, for the price, this does an admirable job. It is a bit limited on the types of haircuts it can do, so if your needs are simple, then it will still fit the bill. There are plenty of accessories to allow you to cut your hair to different lengths. But it does lack a lever to adjust the blade. And speaking of the blade, this is the shortcoming of the clippers. It does feel a bit thin and weak. Again, I’ll reiterate that your haircut should be simple as thick hair and complicated styles will give this clipper a hard time. No list of the best wireless hair clippers can go without the Wahl Peanut hair trimmer. Here you also receive a rotary motor as officially, the Peanut clipper belongs to Wahl’s professional cordless hair clippers line. The most amazing thing is, this rotary motor is fit inside an incredibly compact, 5″ long body that weighs a mere 4 oz. The Wahl cordless Peanut blade is even sharper than other cordless representatives here. In fact, you can use it as a close-to-balding clipper too. This little professional hair cutter is powered by two AA batteries. It doesn’t perform as long-lasting as the Magic Clip or Andis BGRc, but it’s on par with industry performance. 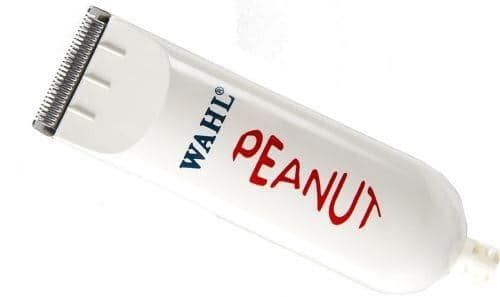 Among the extra Wahl Peanut trimmer parts you’ll get there are 4 Wahl guards (1/8″, 1/4″, 3/8″ and 1/2″), Wahl clipper oil, a small cleaning brush and the typical Wahl blade guard. You will also get two AA rechargeable batteries and a battery stand. If you have children and wish to do their haircut, you would be delighted to know that the Peanut is a pretty good hair clipper for kids. Its cute design and small, compact body get a warm reception by children. The usual time-consuming kid haircuts are a matter of only a few minutes with the Wahl Peanut trimmer. The Andis Slimline Pro trimmer is more than decent pick for one of the best cordless hair clippers and trimmer. Plenty of reasons for that! For example, it’s exceptionally strong rotary motor with 6000 cutting strokes per minute. This thing is more powerful than some mid-budget cordless hair clippers! What’s equally great is the ergonomic, lightweight and all around stylish body of the Slimline Pro. Not only is it a mere 0.30 lbs, but it’s 6.13″ casing is coated in an elegant brushed nickel finish. Durable and almost seductive with its design, it will turn any grooming time into an exciting ritual. This cordless hair trimmer for men comes with Andis’ carbon steel blades. They will perform precise and detailed trims. You can rely on the Andis Slimline Pro trimmer with a T blade for quality beard trims, lineups, sideburn detailed work and hairline edging. Last but not least, its lithium-ion battery lasts up to 2 hours, which is a record for cordless hair trimmers. With a charging time of just 2 hours and 15 minutes, it’ll also come back to life quite fast. Just keep in mind to go slowly with this Andis cordless trimmer. Otherwise, you risk pulling on your hair and nobody likes that. There are also no attachments included with the Slimline Pro. Still, we give the model a solid vote for one of the best cordless hair clippers for men in 2017. Gives you the convenient feature of both cord and cordless use. The snap on blades provide high precision accuracy for a clean line and cut. It doesn’t get any better than the Sterling Mag. And I’m not talking about Wahl cordless trimmers either – this is the one and only best cordless barber trimmer on the current market. First of all, the Mag combines an absurdly lightweight body (only 0.25lbs!) with 2 hours of battery life. While this is on par with the Pro Li, this Wahl wireless trimmer is only 5.5″. An easy fit for any hands, with extremely ergonomic, refined and stylish looks. Unlike Andis, here you also receive 4 trimming guides – from 1/8″ to 1/2″. A very useful addition so you can further control the length of the professional trims you’ll perform with this tool. As if this wasn’t enough, the Mag cordless trimmer for stylists is extremely quiet, doesn’t heat up at all and is very gentle to sensitive skin. A triad of qualities that will turn any grooming session into a true pleasure. I especially recommend the Mag if you want to do detailing around children’s hair. The inherent peacefulness and gentle trims of the Stering Mag will reduce the usual struggles with kids haircuts. Something you should consider is the width of the blade – at 1 1/4″, it’s a bit smaller than some other hair trimmers. However, this allows for even finer work around delicate, smaller areas. The Mag is, hands down, really, the best cordless hair trimmer for professionals. Get a high-performance, all-in-one cordless hair and beard trimmer with 14 precision settings to quickly, safely and efficiently deliver personalized grooming dry or in the shower. Panasonic ER224S cordless hair and beard trimmer is an insanely good bargain for its price. At 0.40 lbs it’s slightly heavier than Andis or Wahl counterparts, but its 6″ body is equally ergonomic. You won’t have any problems maneuvering it in search of a pleasure-filled grooming session. 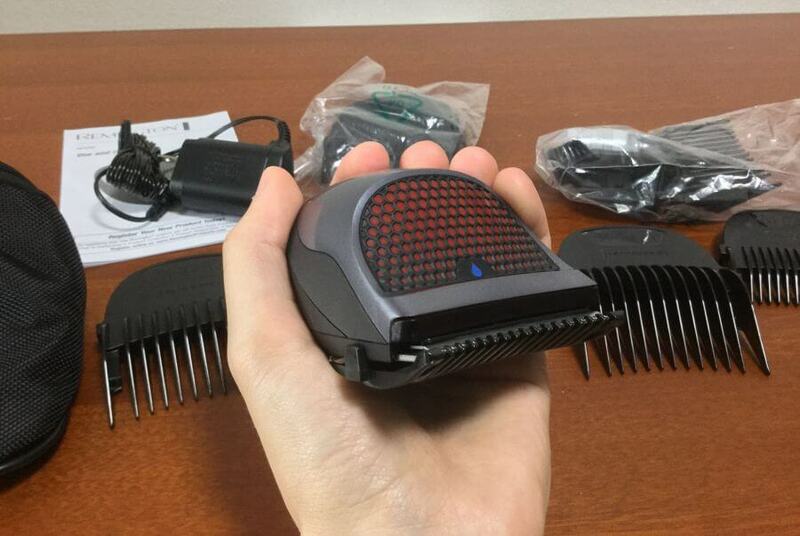 Where the ER224S cordless hair trimmer for men excels is its 14 adjustment settings. You can easily switch from one length to another without the need of any comb changing. The spring-loaded stainless steel blades cut even and sharp enough. The 224S trimmer is also very easy to clean, because you can simply rinse its washable parts. Maintenance aside, its waterproof mode means you can also groom yourself in the shower. Wet or dry trims, you’ll get a soft treatment due to its hypoallergenic blades, perfect for people with sensitive skin. The battery will hold close to what the Wahl #8900 would offer you. Recharging time, however, will take longer at around 8 hours. Another issue with this Panasonic cordless hair trimmer for men is its weaker motor and blade performance. All said and done, however, its pricing is very, very attractive. 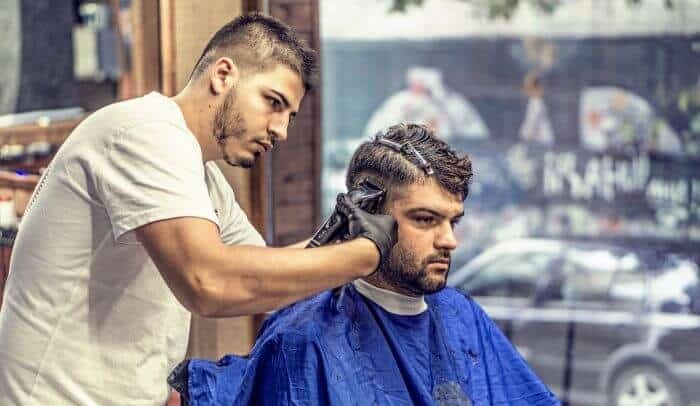 If you’re on a budget, this professional and one of the best cordless hair clippers and trimmer will give you an all around amazing bang for your buck. A cordless hair clipper’s most valuable feature is its battery life. It makes sense, right? You will rarely use it charged, otherwise you would have gone with a corded electric hair clipper in the first place. It should last you long enough for a haircut at home and shouldn’t affect hair cutter performance in any way for pros either. A standard battery runtime for most of the cordless clippers would be 40 to 60 minutes. The best battery powered hair clippers will last you around 90 minutes (Wahl’s cordless Magic Clip on Amazon.com as we mentioned.) Exceptions like the Oster Juice hair clipper are rare – it does run for 2 hours, but its price is also pretty steep. 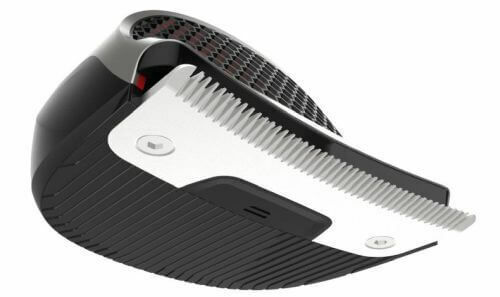 You would prefer to have a cordless hair clipper for men that utilizes the newest Lithium-ion battery technology. Lithium-ion electric clippers recharge faster and last longer, thus providing a better bang for your buck. A cordless hair clipper lasting for long is great. But what value would it have if it’s uncomfortable to use for your short haircut at home? Electric hair clipper size, weight and the grip of its body are integral to enjoying a proper home haircut. Luckily, most brands focus on ergonomics and you’ll rarely happen upon absolutely atrocious to hold models. From Wahl’s best cordless clippers to Andis, Philips, Oster cordless hair clippers: all of these machines differ, yet strive to fit your hand correctly. Clipper size is something that varies, though. As a whole, Wahl cordless hair clippers for men are a bit bulkier than, say, Remington hair clippers. However, they also pack a better punch, so it’s a fair trade-off in the end. More humble in their output as they are, the best cordless hair clippers still have to maintain power. We gauge “power” by the combination of sharp, properly cutting hair clipper blades and a powerful clipper motor. The ideal combination would be rotary motor clippers with ceramic clipper blades. This is why we have listed Andis BGRc from Amazon.com hair clipper as a premium choice. However, this combination would cost a bit more, so you can easily settle for something more in line with your budget. 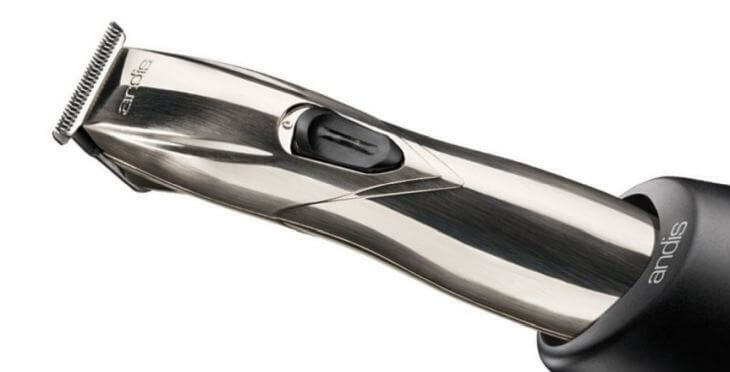 Standard cordless hair clippers come with stainless steel blades (sometimes titanium or carbon-coated) and electromagnetic motor. If you’re looking for cordless balding head clippers, you’d want the blades to perform closer cuts. This is pretty straightforward: in order to choose the best cordless hair clipper, all different criteria are combined and put against the electric clipper’s price. Cheaper hair clippers not always equal low quality; expensive cordless hair clippers for men might be exquisite, but you might not really need them given your specific needs. The best value for price factor led us to pick the Remington HC4250 cordless clipper from Amazon.com as a top choice. However, the other electric hair cutters on the list might fit your custom requirements more. Maintenance is key not only with the best cordless hair clippers – professional cordless hair clippers or more casual models, every machine needs some care. While clippers with a rotating head like the Philips Norelco QC5580 Do It Yourself electric hair clipper will require little to no maintenance, others will be more demanding. We have already covered the fundamentals of hair clipper maintenance in our extensive article here. Give it a read so you make your new purchase last longer. In case you decided to fetch a Wahl cordless hair clipper, you might want to check out our article on adjusting Wahl hair clipper blades. Last but not least, you might feel overwhelmed with the various guard and blade sizes. Our total guide on hair clipper sizes will help you understand everything you need to know here. We hope we’ve helped you out with picking the best cordless hair clipper on the market! Get to action and do the perfect haircut at home with ease. No cords attached! If you prefer to put more focus on professionalism, our list of the best barber clippers in 2017 would be of value to you! Thanks for your article of best cordless hair clippers-an ultimate guide. Yes, this is a very good cordless hair clippers list that helps people to find the best one easily. Here you make a brief description along with proper pros and cons that help to take buying decision easier. Your product selection criteria meet all the basic requirements along with features and performance of the clipper. The list is good for sure. I believe this is for beginners or home users only. I use MOSER and found this cordless clipper really cool. Hope, you will review this brand soon. Best of luck!